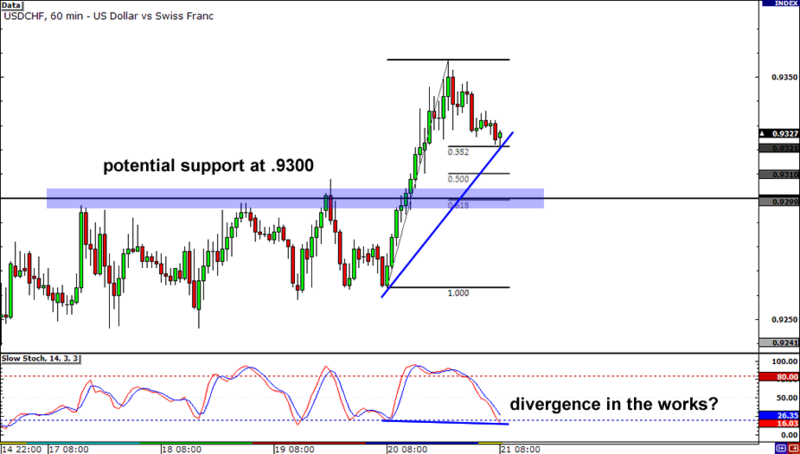 First on today’s list is USD/CHF, which is looking mighty fine now that it’s trading above .9300. But as you can see, this level seems to be attracting price as the pair appears to be on its way to revisit this former resistance. And to top it all off, a divergence is already in the works! All of this suggests that it may just be a matter of time before the market turns around and heads north once again. 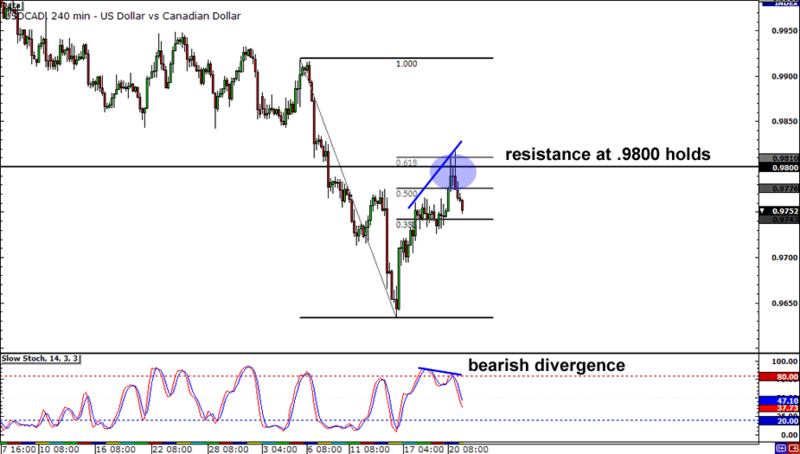 Is the correction on USD/CAD over? I can’t help but wonder! It completed a perfect three-bar turn at the .9800 handle, and now it seems like sellers are in control once again. If sellers can keep this up, the pair could make its way back down to the previous low at .9650. But on the other hand, buyers will need the pair to break through the Fib levels before we can say that the ball is in their court. Place your bets, homies! 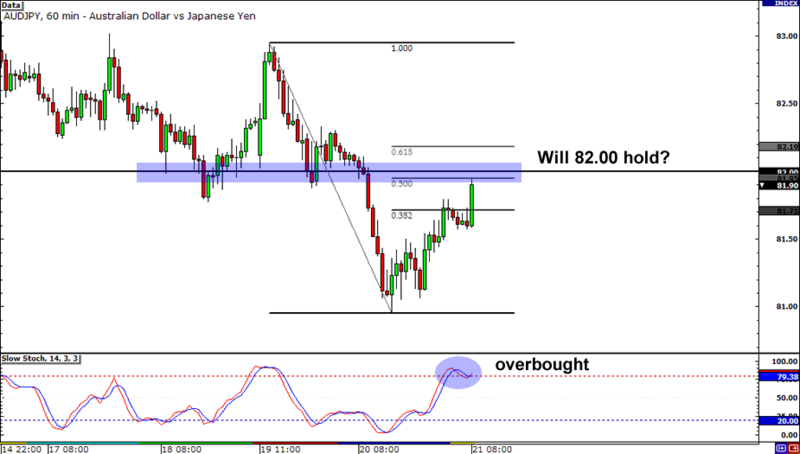 Will AUD/JPY break or bounce off 82.00? This level was once a pretty solid support zone and it also lines up quite well with the Fibs, so there is a chance that it’ll hold. But the most recent candlestick looks very bullish, suggesting that buyers are packing serious firepower. If you want to play it safe, just wait for further confirmation from candlesticks or Stochastic. In any case, make sure you practice smart risk management!